Families who want to unwind in style while soaking up the sun are sure to love staying at Camping Joker after booking via LuxCamp. 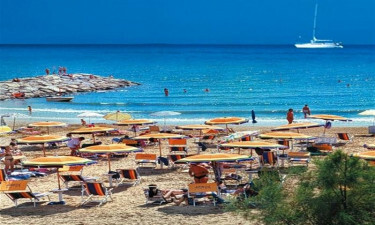 This leading campsite offers guests private access to one of the area’s most impressive sandy beaches and is also backed by a picturesque pine forest. 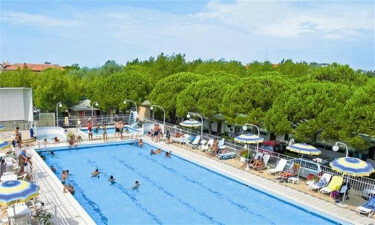 Situated on the enchanting Cavallino coast, Camping Joker is also located conveniently close to the city of Venice and lovers of luxury camping will be able to spend their days exploring the area with ease. However, the site itself also offers an excellent range of activities to take part in such as tennis, bowls and beach volleyball. 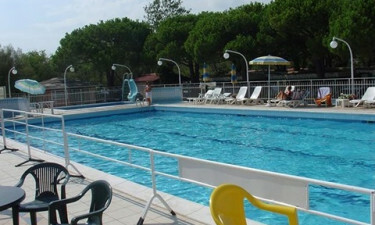 The site’s centrally located swimming pool is large enough to swim laps and take part in the aqua aerobics classes that are held here each day. A smaller adjoining pool is also provided for the little ones, while there are plenty of sun loungers to unwind on. Guests at Camping Joker will be able to take a short stroll from their modern mobile home to a beautiful sandy beach. A bar can also be found right on the beach so that guests can truly unwind while the little ones splash around, while a range of aquatic activities can also be enjoyed here.